Laying hens need oyster shells in their diet; offering eggshells back to them does not provide the same benefits to health and shell strength. How often do you think about the purpose, composition or strength of eggshells? Rarely to never? Before I began keeping chickens in my backyard, I never gave eggshells a moment’s thought, but I have since gained a respect for my hardworking hens and an appreciation for everything that goes into the eggshells they make. Admittedly, my habit of placing collected eggs into my pockets fostered that appreciation. Nothing reveals the strength—or weakness—of an eggshell faster than a forgotten egg in a jacket pocket. Beyond keeping one’s pockets clean and dry, there are serious implications associated with the structural integrity of an eggshell, including hen health, the viability of a developing chick and even human health. Eggshells consist primarily of calcium. For a hen to make an egg, she needs calcium from somewhere. However, most of us stop thinking about it after we purchase a bag of oyster shells and a commercial layer feed that contains calcium. Why should we offer laying hens oyster shells along with this layer feed? A second source of calcium should be available to support the health of the hen in addition to helping her create strong eggshells. Many people feed the cleaned, dried eggshells back to their laying flock instead of oyster shells, believing this will accomplish the same objective. However, that is not the case, and the reason relates primarily to size. Let’s take a deeper look at why laying hens need oyster shells in their diet and why offering eggshells back to them does not offer the same benefits to hen health and shell strength. Chickens and humans are different in a lot of ways, but we’re similar in that what we eat affects our health as well as how our bodies perform various functions. As any woman who has struggled with fertility issues knows, diet affects egg production and egg quality; similarly, a hen’s egg production and quality are affected by her diet. A hen, however, is much more sensitive to getting her daily nutritional needs met than a woman, for a variety of factors including a hen’s distinct anatomy, her high metabolism and because she produces many eggs each month rather than just one. In order for a hen to be healthy and make strong eggshells, she must have access to precise amounts of specific nutrients—most notably, calcium—in specific forms, at particular times throughout each roughly 24-hour period. Eggshells are approximately 95 percent calcium carbonate. To produce an eggshell, the calcium must come from a hen’s diet. In fact, a laying hen must consume approximately 4 grams of calcium per day to get the 2 grams of calcium needed to make one eggshell, which is three times more dietary calcium than required by nonlaying hens. 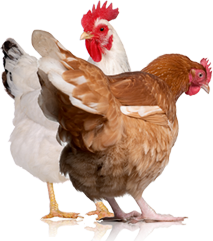 The most common sources of calcium carbonate fed to laying hens are crushed limestone and oyster shell. Commercially prepared layer feeds ordinarily contain crushed limestone, while oyster shell is usually offered as a supplement in a dispenser or hopper alongside the feed. I offer oyster shells to my hens free-choice to allow each hen to regulate the intake to meet her specific calcium needs. Calcium carbonate must be broken down into its calcium and carbonate components in the hen’s intestine before being absorbed into the bloodstream, where it’s delivered directly to the shell gland (the uterus); any extra is then stored in the hen’s bones. 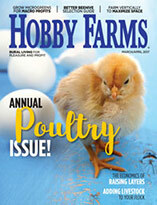 Laying hens store calcium in specialized bones called medullary bones. Think of a medullary bone like a sponge filled with calcium that is encased inside a hard, hollow bone. The hard bone is the cortical bone, which is responsible for strength and stability. If a laying hen doesn’t have calcium trickling into her bloodstream while making an eggshell, she will steal it from the calcium stash inside her cortical bones. This calcium theft can cause brittle bones that fracture easily (osteoporosis), and in the most severe cases, the inability to stand, which is known as caged-layer fatigue. It pains me to break some of my hens’ colorful masterworks, intentionally or unintentionally, but when I do, it’s a consolation to know that I can feed the clean, dry, crushed shells back to the ladies for use in making new shells. However, feeding eggshells back to a hen is not sufficient to supply her with the resources she needs to create new, strong eggshells and to remain healthy. Mixing clean, air-dried eggshells into the oyster shells is fine, but eggshells, much like crushed limestone in the feed, are a fast-release source of calcium, which isn’t available to a hen during the most calcium-demanding portion of eggshell production: at night while she’s sleeping. The take-home message: Eggshells offered with oyster shell are fine but aren’t a sufficient source of supplemental calcium by themselves. The time it takes for most food particles to pass through a chicken’s digestive tract is approximately 90 minutes. When a hen is awake and eating layer feed, crushed limestone is dissolving into her bloodstream quickly, getting where it needs to go. However, it takes approximately 25 hours for a hen to construct an egg. Eighteen to 20 of these hours are dedicated to shell formation, the bulk of which occurs at night while she is sleeping. Do you see where we’re going with this? When a hen is asleep, she is not eating and therefore doesn’t have access to the calcium in her feed to use for building the shell. That is a major problem because while building an eggshell, a hen can use and replace the calcium she carries in her bloodstream as many as 100 times. So, what’s a girl to do in the middle of the night when she craves calcium on the graveyard shift? While she won’t stop making the eggshell without crushed limestone in her bloodstream, she will continue building the eggshell to the detriment of her own health with calcium she pillages from her bones to finish the job. That is unless—cue the dramatic music—she has a second source of slow-release calcium to tap into late at night. The large particles of oyster shells serve as a slow-release source of calcium for a hen. They sit in her gizzard, where they are ground up gradually throughout the night for use as the hen needs them. If you pay attention to your laying hens just prior to roosting time each night, you will notice that they pick up pieces of oyster shell, readying themselves for their night job. A hen cares about eggshell strength, and so should we. Let’s remember that the purpose of eggs is to make more chickens, not breakfast food. 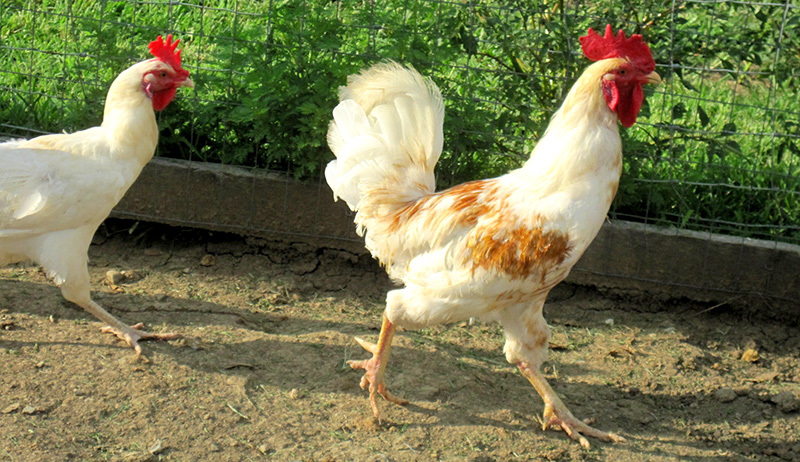 If fertilized by a rooster, the contents of an egg can contribute to the perpetuation of the species. For a fertilized egg to have a chance at developing into a healthy chick, it must be protected from harm, including bacteria sneaking in through an eggshell’s approximately 7,000 to 17,000 pores. A strong eggshell is a critical defense against threats to the survival of a developing embryo. That’s a lot of pressure on a hen to make a quality product. Most eggs laid in today’s world are destined for human consumption. Why should we care about eggshell strength? Two words: food safety. When we think about eggs and food safety, we often concern ourselves with issues such as whether an egg is clean or dirty when collected, washed or unwashed, and stored in the refrigerator or on the countertop. Defending an egg’s contents against bacterial invasion is an eggshell’s primary function, and a strong eggshell is an important defense against bacteria getting into our food. Here’s a quick test for eggshell strength you can try at home with the kids. Crack an eggshell on a bowl, and take a look at the resulting break. Did the shell break in a straight, clean line or was it jagged and haphazard? A clean break signals a strong eggshell while a jagged or messy break suggests the need to reassess the hen’s diet with a close look at the sources and forms of her calcium intake. 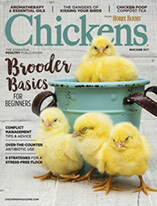 This story originally appeared in the May/June 2018 issue of Chickens magazine.